Dr. Jim Godorecci was born and raised in Media, Pennsylvania. A graduate of Archmere Academy, Dr. Godorecci received his Bachelor's degree from Gettysburg College, where he was a four-year Letterman, Running Back on the football team. In becoming the outstanding dentist he is today, Dr. Godorecci graduated from the prestigious University of Pennsylvania School of Dental Medicine and completed an Oral Surgery externship at Parkland Memorial Hospital in Dallas, Texas. Dr. Godorecci has developed expert skills and a deep compassion for his patients over 20 years of practicing family, cosmetic and restorative dentistry, in Chester and Delaware Counties. Dr. Godorecci has completed continuing education and training in areas such as dental implants, porcelain veneers, orthodontics and endodontics to ensure his patients receive the most effective and comfortable care possible. •Former Clinical Instructor, University of Pennsylvania School of Dental Medicine. When Dr. Godorecci is not at a continuing education course, he can be found spending time with his family, biking, cooking and coaching community sports. He and his wife, Kari, live in Paoli with their four children, and two Labrador retrievers. Jim and Kari enjoy being active in their children's activities, school and community events. 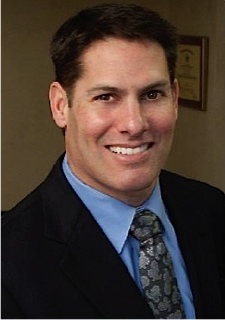 In acquiring Main Line Dental Aesthetics, in 2010, Dr. Godorecci has fulfilled his lifetime career goal of living and practicing in the same community. Dr. Godorecci has established long term relationships with families and now offers quality services in a beautiful, relaxing and home-like atmosphere. Main Line Dental Aesthetics welcomes you to stop and see our newly renovated office, equipped with the latest technology to make your visit with us absolutely comforting. We appreciate the time you’ve taken to visit our website to find out more about our Paoli dental practice, our team, and the many dental services we can provide to help you achieve optimum oral health. Contact our Paoli dental office today @ (610) 644-2502 to schedule your appointment.